For the Boardwalk Bench, the latest addition to its product line, Forms+Surfaces sourced 142-year-old reclaimed FSC-certified Cumaru hardwood from the original slats of the Atlantic City Boardwalk. The naturally oiled slats are arranged in an asymmetrical pattern to salvage as much wood as possible while trimming imperfections. 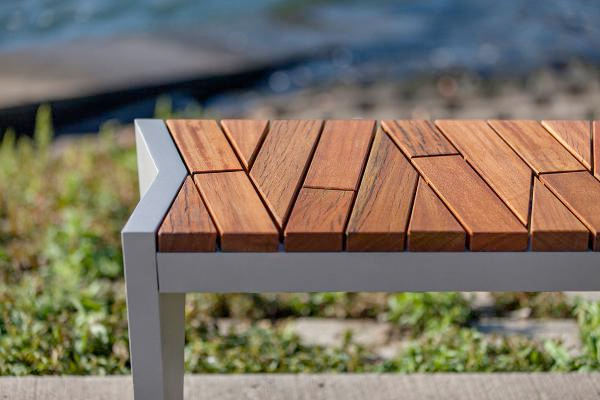 Right now all proceeds from the sales of the Boardwalk Bench go to the Red Cross for Sandy relief efforts. October 16, 2018 What can we learn from the house that survived Hurricane Michael?